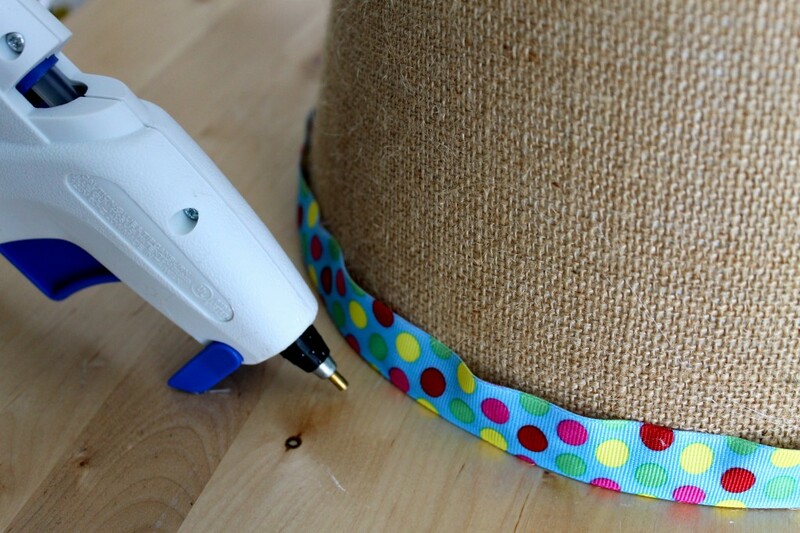 Today we are sharing our take on Project Number 186 – Trim A Lampshade With Ribbon. When Jordan and I created an attractive laundry area for her a few weeks ago, one of the things we needed to do was cover a bare light bulb with a shade. Keeping in mind that our goal was to use as much as we could of what she already had on hand and to keep within a budget, we took a lampshade from a lamp that we made for the beer crawl she and Mr. Spring had last year. 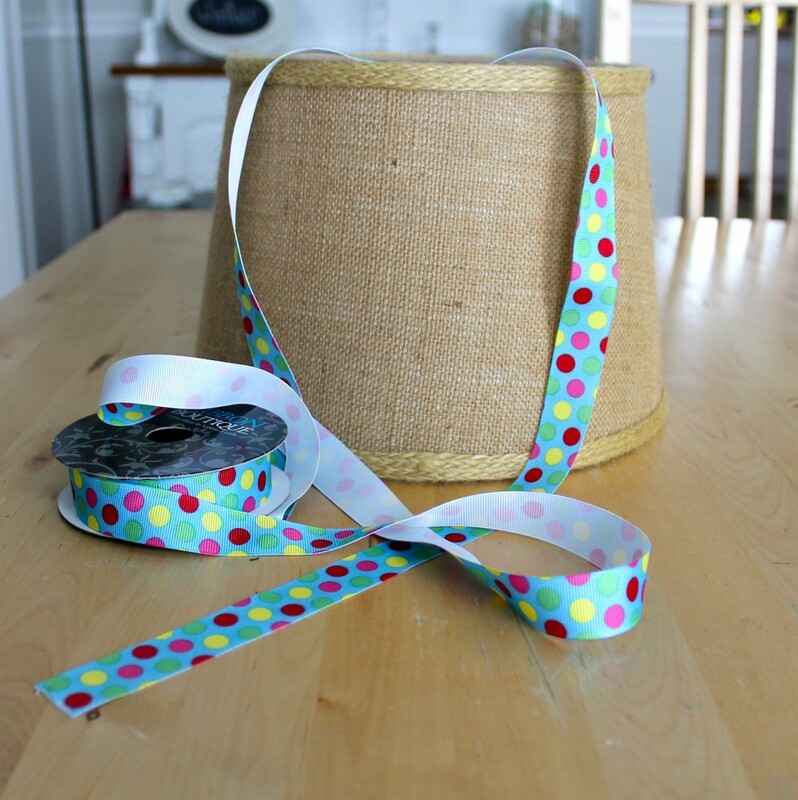 Lucky for us, she also had the ribbon on hand, and it was bright and cheery – just what the lampshade and basement needed. Now, we had a problem that John and Sherry didn’t have. Their lampshade was a drum shade, and so the top and the bottom were the same size, and consequently, their ribbon did not pucker the way ours did. Our lampshade was smaller at the top then at the bottom, and so the ribbon didn’t fit as well. That’s okay, though. We were using what we had, and keeping in mind that it was an major improvement over a bare light bulb. We had to actually hang it upside down, but it is doing its job. There is so much going on in this newly revamped laundry area that the puckers don’t matter. think of hanging a light. I just love the laundry room revamp! The ribbon matches the fabric just perfectly! Great job! 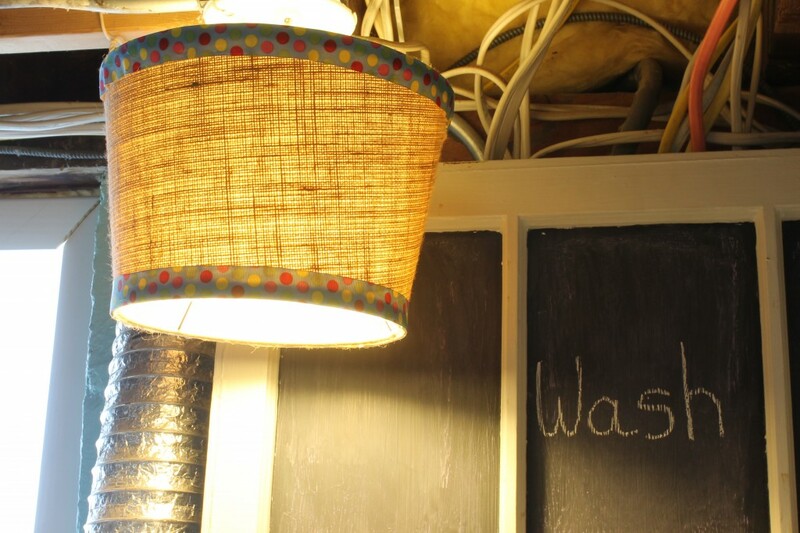 Too cute, such a creative way to light your laundry room…love it! 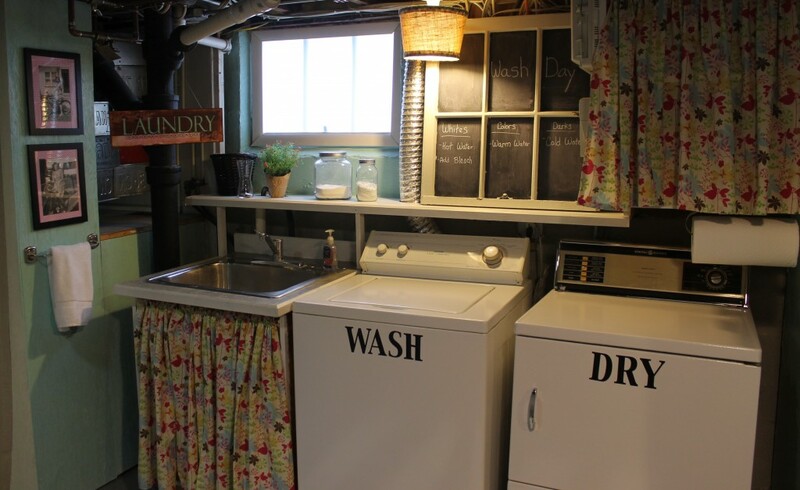 Your laundry room turned out looking awesome!